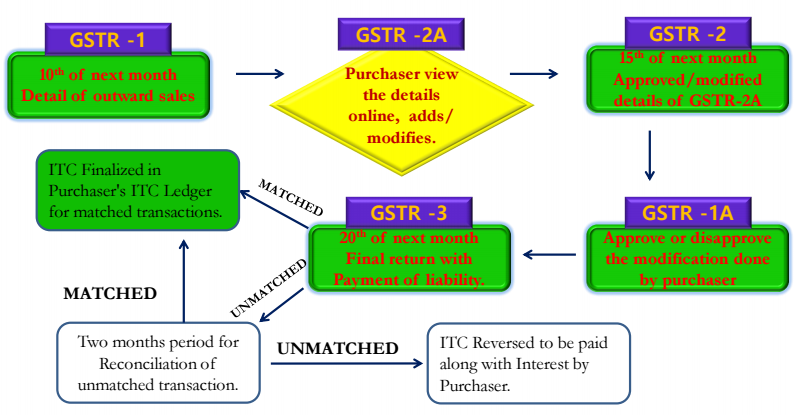 Any changes made by the purchaser to the GSTR 1 form are reflected in the GSTR 1A and will be verified by the supplier. Once these changes are accepted, the GSTR 1 form is filed. Penalty fees for delayed monthly returns are charged at Rs 50 (US$0.77) per day for GSTR 1, 3B, 4, 5, 6 and Rs 20 (US$0.31) per day for nil returns; the maximum being Rs 5,000 (US$76.70).